The word adventurous describes people who seek exciting activities or ventures, or it may be applied to the activities themselves. 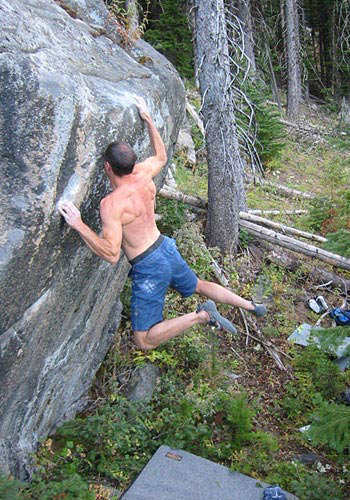 Within this definition different types of adventurous activities are described. Words such as bold, daring andaudacious describe a willingness to face danger or take risks in a given situation. approval, although audacious may sometimes suggest too great a willingness to take risks and may even suggest breathtaking ingenuity, for example the gang devised an audacious plan to steal the Crown jewels. The words reckless, rash and foolhardy, on the other hand, are usually terms of disapproval, although they could also be terms of admiration at the same time. Rash suggests unwise haste or boldness and someone who is reckless is likely to have utter disregard of the consequences. Foolhardy is a less strong word than reckless and places an emphasis on the imprudence of the action rather than the attitude of the person taking it. Someone may also be described as a daredevil if they embark on grandiose feats of daring, for example a high-wire circus trapeze artist. The word timorous is very similar to the word timid; however, one tends to use the word timid as describing a temporary fear or apprehension, whereas a timorous person is someone who is habitually lacking in courage. 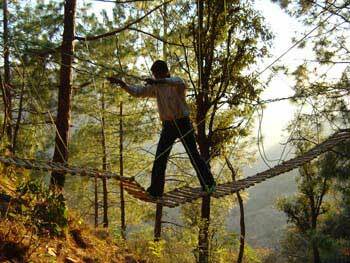 An adventure is defined as an exciting or unusual experience; it may also be a bold, usually risky undertaking, with an uncertain outcome. 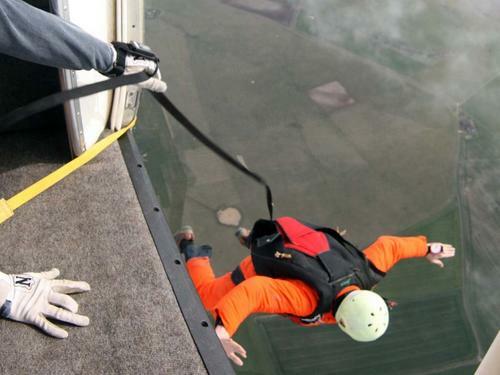 The term is often used to refer to activities with some potential for physical danger, such as skydiving, mountain climbing and or participating in extreme sports. The term also broadly refers to any enterprise that is potentially fraught with physical, financial or psychological risk, such as a business venture, a love affair, or other major life undertakings. 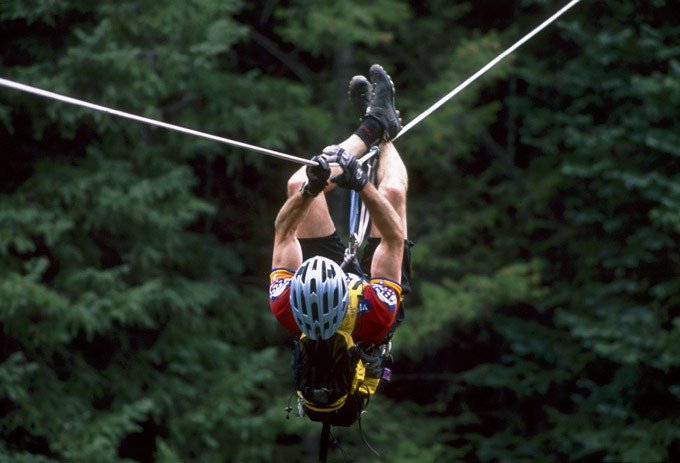 Adventurous experiences create psychological and physiological arousal,which can be interpreted as negative (e.g. fear) or positive (e.g. flow), and which can be detrimental as stated by the Yerkes-Dodson law. For some people, adventure becomes a major pursuit in and of itself. 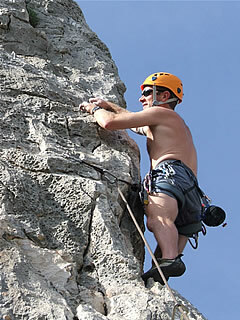 According to adventurer André Malraux "If a man is not ready to risk his life, where is his dignity?". Similarly, Helen Keller stated that "Life is either a daring adventure or nothing." 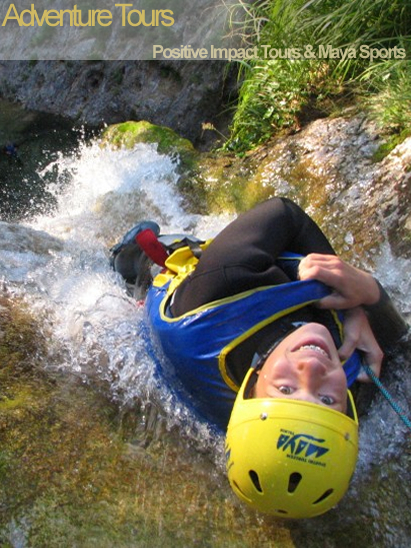 Outdoor adventurous activities are typically undertaken for the purposes of recreation or excitement: examples are adventure racing and adventure tourism. 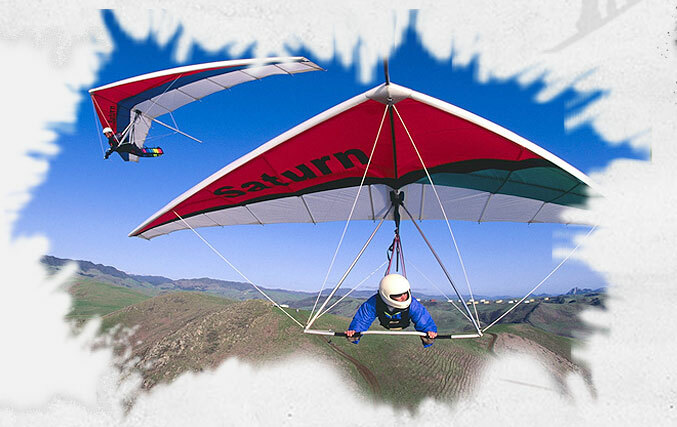 Adventurous activities can also lead to gains in knowledge, such as those undertaken by explorers and pioneers. 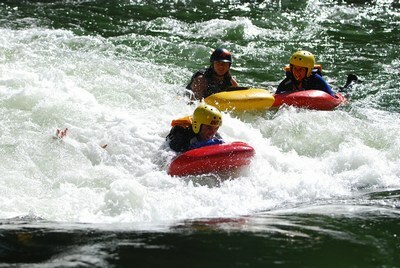 Adventure education intentionally uses challenging experiences for learning. One whose travels are unusual and often exotic, though not so unique as to qualify as exploration. One who lives by their wits. One who takes part in a risky or speculative course of action for profit or position. In each of the following decide whether each word or statement applies to you in a positive or negative way and then place a tick in either the POSITIVE set of boxes or NEGATIVE set of boxes according to the degree of positivity (5 being the most positive and 1 the least positive) or negativity (5 being the most negative and 1 the least negative). You must, therefore, place one tick in one box only for each of the 25 questions. If you are unsure of the exactmeaning of any of the words, the use of a dictionary or thesaurus is recommended in order to obtain the most accurate assessment.